Traveling with a baby or generally any child below two years old can intimidate even the most experienced of parents, especially if it’s air travel and you happen to be covering a long distance. It needs quite a lot of preparation if you want to make sure your infant is not only safe but comfortable both during as well as after the flight. If well prepared, traveling with your little toddler shouldn’t pose that much of a problem, TSA and all. It’s really all about anticipating what to expect. Anyway, let’s take a look at a few ways on how you can keep your baby safe on a plane. Consider the schedule your baby has and see if you can work the trip around the times your baby is the sleepiest, even if taking the red-eye early in the morning is what it means. Everyone knows a happy baby is a sleeping baby. 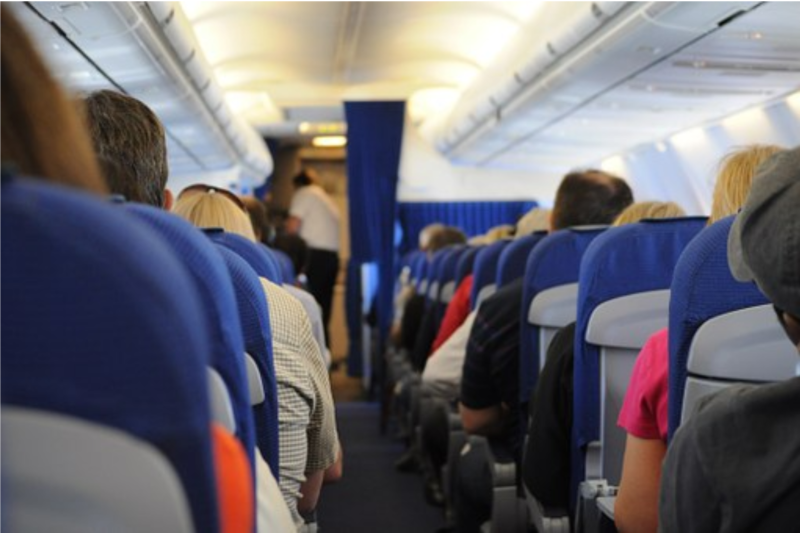 Also, when choosing your plane seat, your main targets should be bulkhead aisle seats. Sitting in these type of seats, especially the ones located at the front will award you more space to both handle diaper changes as well as stretch out. The FAA or Federal Aviation Administration recommends for infants weighing less than forty pounds to be secured in an FAA approved car seat, however, it’s not technically a requirement. What this means is that you don’t have to if you don’t want to. Nonetheless, this is still where we tell you how handy the portable car seat for travel can be when you’re traveling by plane. Flying with your infant in your arms can prove a nightmare. Getting a car seat and putting him/her beside you will make things so much more comfortable for the both of you. Babies are particularly prone to getting ill and even catching a simple cold or flu could potentially prove fatal to them. So, since planes are basically huge petri dishes of germs you might want to seriously think about how you’re going to protect your baby from these said germs. A fantastic barrier between bad germs and baby is a breathable blanket. Nasal saline every thirty minutes or so will also help keep their nasal passages clear keeping them free from getting stuffed. Picking the appropriate carry-on bag can end up being a lifesaver when it comes to traveling by air with your baby. Ensure you get an easy to roll and lift bag and, more importantly, make sure it meets the airline’s weight and size requirements. Carry extra supplies when packing in case you end up experiencing an unexpected delay or layover. It’s always better to be safe than be sorry, isn’t it? Remember, you aren’t the first person, nor will you be the last to have to travel with an infant by plane. Airlines know this as well. Accommodating both young and experienced families is something they’re used to. They’ve been doing it for years. Asking for help is not something you should shy away from. Often times, they’ll always be prepared to help.